The location of Shasta County in California. 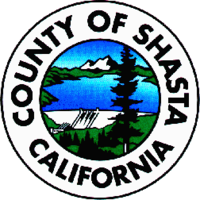 Shasta County is a county in northern California, in the United States. It is in the Sacramento Valley part of the Central Valley of California. 163,256 people live there. The county seat, as well as the biggest city, is Redding. One major attraction in the county is Shasta Dam and Shasta Lake, one of the biggest dams in the state of California. This page was last changed on 18 September 2018, at 15:29.